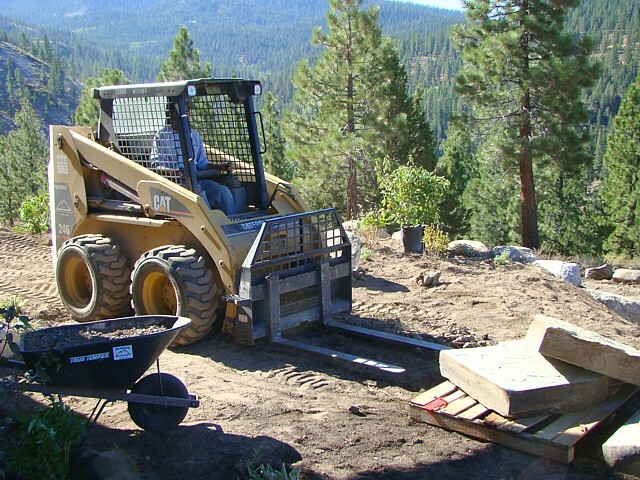 In Lake Tahoe sprinkles can quickly turn into downpours when it rains and large areas of your property can become overwhelmed with water and become saturated and erode in no time. Tree roots become exposed and mulch beds can wash away quickly. Low spots form in the yard and eventually erosion patterns spread. Drainage swales in strategic places stabilize the soil and eliminate washout of landscaped areas. 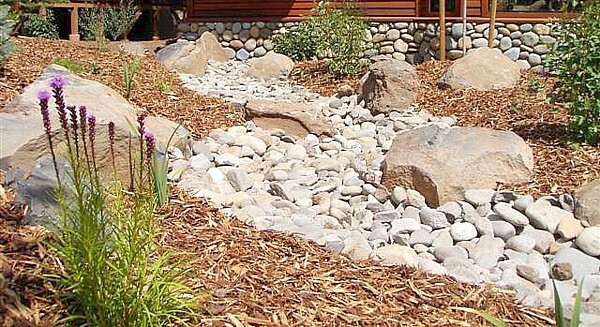 Properly designed drainage creates a channel for the water to flow through your property and depending on the materials used, such as river rock and boulders, it can be a beautiful landscape feature while managing surface water. 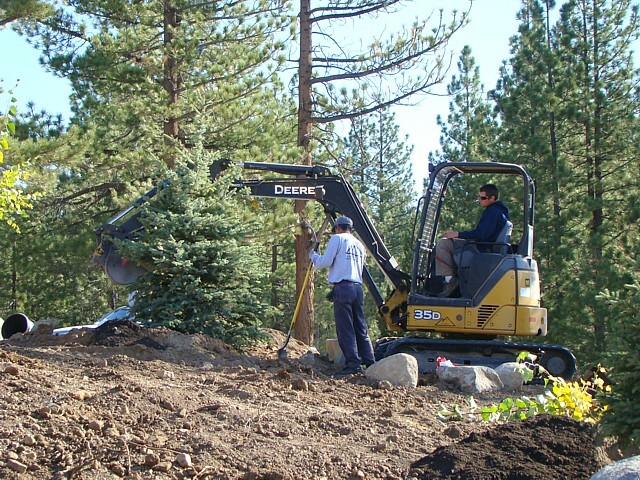 Most natural landscapes can benefit from some form of grading to further get water away from undesired area. Negative grading creates hydrostatic pressure on walls by constantly forcing water to flow towards the house and it's foundation. 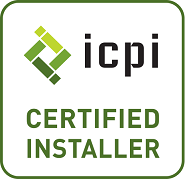 Proper grading with the correct materials change the grade around your entire house to deter water from coming near the vulnerable points around the house and property. We own and maintain all of our own equipment. We even have equipment that can fit through a 36'' wide opening to aid in excavation for irrigation, patios, planters, trees, plants, lawn removal, etc.